Will OSU make it two in a row? The College Football Committee concluded meetings this week as the 2015 season is less than a month away. The committee was very pleased with last season and hopes for a successful 2015 campaign. The committee, among other things, reviewed and discussed the time schedule for the weekly rankings with the first rankings coming Tuesday, November 3 on ESPN. The final rankings will air on December 6. The 2015 semifinals will take place December 31, at the Cotton Bowl and Orange Bowl. 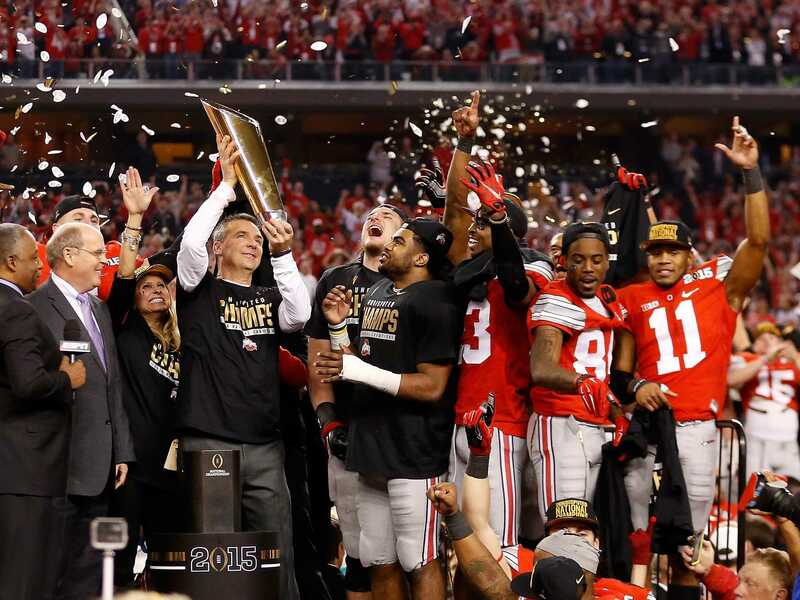 The national championship game will be January 11, 2016, at University of Phoenix Stadium in Glendale, Arizona. For all you gamblers out there, be sure to checkout Titanbet as they have fantastic future odds for the national championship game.